Designed for a constant level of cutlery polishing per day. The Sammic 5001 Cutlery Polisher is a floorstanding flatware polishing machine and will give your cutlery a brilliant shine, time after time. Designed for lighter use, this compact unit will fit into even the smallest of kitchens or food preparation areas. Whilst volume is important it is imperative that you offer your customers clean, shiny cutlery to ensure you deliver a consistent experience which in turn will achieve repeat business. With a capacity of between 5,000-8000 pieces per hour of wet cutlery is transported via a vibrating carrier into a powder of dry granules which remove any excess moisture, while giving the cutlery a smear -and stain- free finish. To finish off, the Sammic dries, polishes and removes lime scale stains from cutlery after washing removing any traces of bacteria from both. 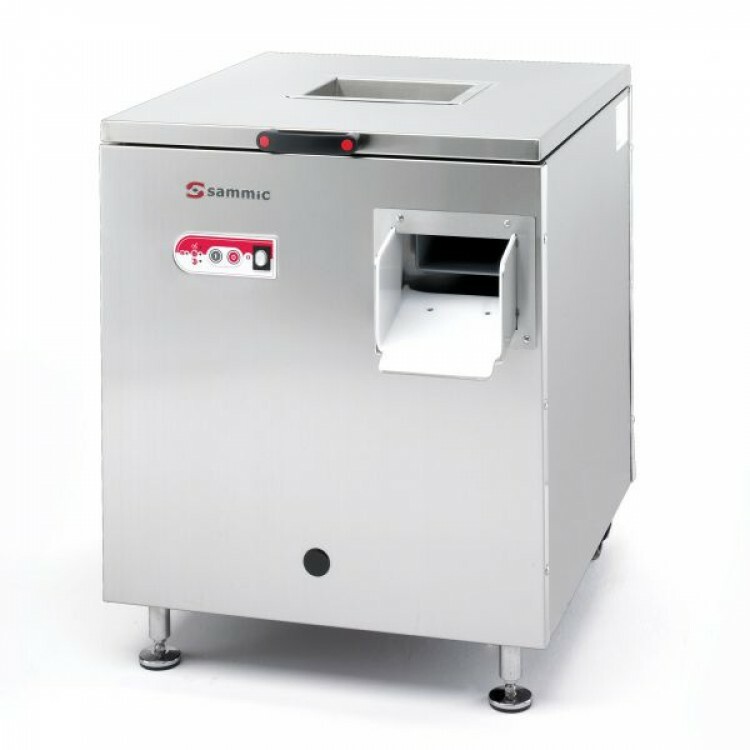 The Sammic Cutlery Polishers help improve hygiene as the germicidal UVC-ray lamp sterilizes both the cutlery and the polishing product and helps you economically as it saves on personnel costs offering a quick return of investment.